Distressed and short sales made up about a third to half of all sales in 2012. But as home prices rose and the economy improved, the number of distressed sales fell. 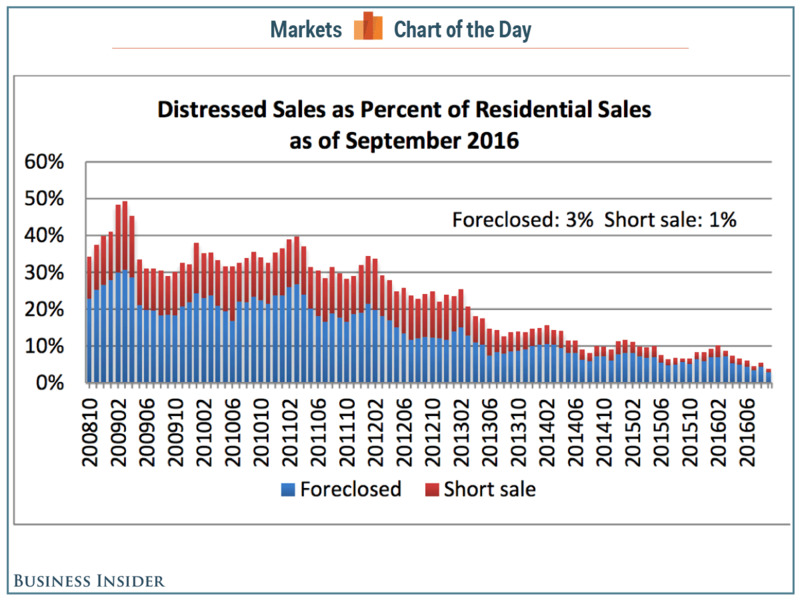 Foreclosed homes made up 3% of sales in September, while short sales were just 1% .. a record low since record keeping began in 2008. This, plus an inventory crunch could precipitate a serious resurgence in house prices: "The housing market continues to face an inventory crunch, which is lifting prices. Total housing inventory rose at the end of September, but was still down 7% from a year ago. It has fallen year-over-year for 16 straight months." 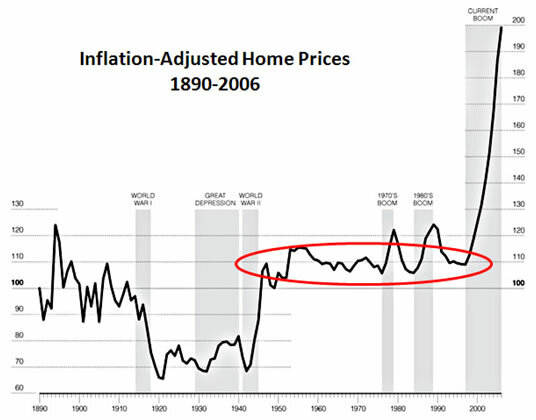 See the 120 Year Chart of Home Prices below and our recent post on TWO major Central Banks (Bank of England & the Fed) telling us they will be willing to accept higher levels of inflation for 'a period of time' .. then look at numerous of our posts since 2009 where we have emphasized that QE money printing is primarily to try to get real estate prices moving back up (helping you & me & the rest of the economy was always a SECONDARY purpose!) .. understand that what the Central Banks & the major banks NEED in order to get healthy again is for real estate prices to reestablish the growth trajectory they had on before the crash. IF THE BANKING SECTOR SUCCEEDS AT WHAT THEY HAVE BEEN TRYING TO DO, REAL ESTATE PRICES ARE DUE TO START FLYING AGAIN. Who is ready?